The cities of the Pacific Rim are in one of the most dynamic spheres of the global economy. In the twenty first century the focus of global affairs is destined to shift from the West to the East. These cities offer a wide range of different responses to the demands that rapid growth puts on planning and infrastructure : from the laxity that has lead to the urban sprawl of Bangkok to the regulation that is characteristic of Singapore. 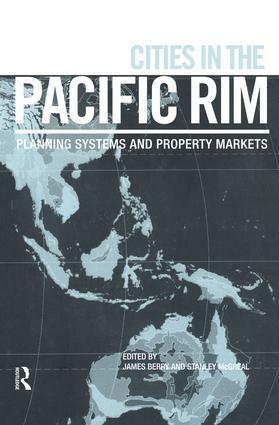 This book considers the interactive relationships between the operation of the planning system and the role and performance of property development and real estate markets in 14 Pacific Rim cities drawn from both the Eastern and Western perspective. The dynamic underlying these relationships considers the interplay between administrative structures, legislative controls and policy issues examining the role of actors and agencies in the property development and investment process.